It’s one of the most fundamental questions facing humanity: Is life unique to Earth or could it be common throughout the Universe? WHOI is poised to play an important role in NASA’s increasing focus on ocean worlds which have the exciting potential to reveal evidence for life beyond Earth within the current human generation. 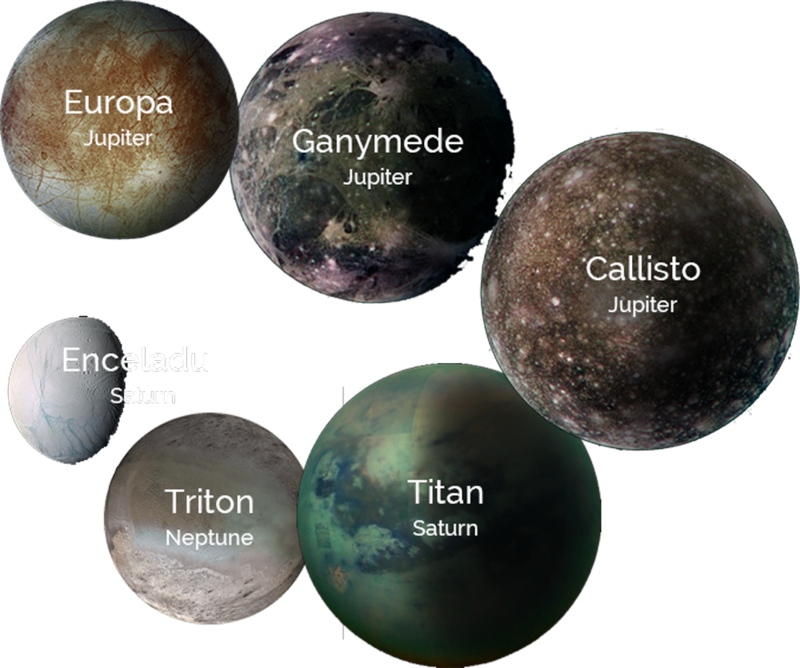 Ocean worlds are a group of planetary bodies in our outer solar system known to have liquid water oceans. Rather than existing inside the narrowly defined “Goldilocks Zone,” where water is required to exist on the surface, they contain vast oceans beneath a thick ice crusts. Many of them also have rocky seafloors like we have on Earth, raising the possibility that they could support chemosynthetic life similar to what we find at hydrothermal vents, cold seeps and other forms of seafloor fluid flow on Earth—both known and yet to be discovered. Which one holds the most promise? What signs do we look for? WHOI scientists and engineers are applying their expertise from ocean research and exploration to modeling planetary systems and to building sensors that will help inform the search for life on ocean worlds beyond Earth. Seafloor fluid flow on Earth hosts a wide range of microbial life that can support exotic ecosystems—conditions that can also exist on ocean worlds far from the Sun. Fluid flow in the oceans and beneath the seafloor on ocean worlds may be different from Earth, but will still be predictable based on what we know about our own planet. Exploration here on Earth will help decide what technology we send to ocean worlds and and can also provide an invaluable testing ground for future extra-terrestrial exploration. Help us explore the ocean—on Earth and beyond.